In October of 2017, BlackVue released the newest model of their popular dual lens dash cam series. The DR750S-2CH features some impressive improvements over the previous model DR650S-2CH, which has been one of the best-selling high-end dashboard cameras of all time. 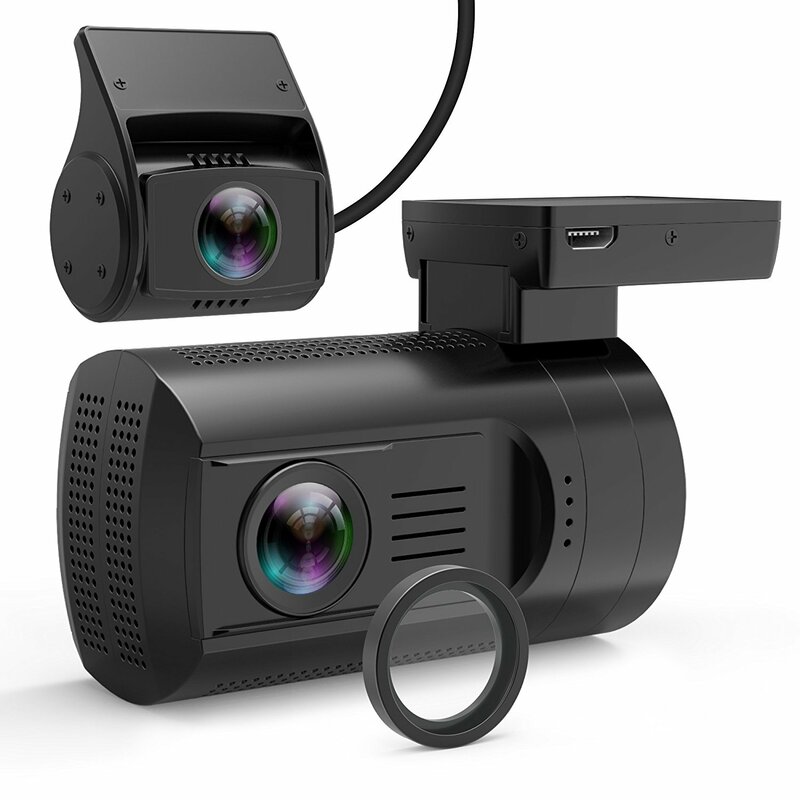 Like the DR650S, the DR750S series allows you to live-stream its video feed over the internet, using BlackVue’s cloud service (you’ll need a Wi-Fi hotspot in your car though). If you don’t need a rear camera, there’s also a single lens version of this camera available, called DR750S-1CH. Video quality of the DR750S is very good for the forward facing camera during the day, and good at night time. For the rear camera, video quality is good at day and fair at night. The most important upgrade compared to the DR650S is that the DR750S-2CH records 1080p both ways. The front camera can even record at 60 frames per second, while the rear camera records at 30fps max. Both the front and the rear camera are now fitted with a 2.1MP Sony Starvis sensor. Video quality is improved, especially for the rear camera. The upgrade from 720p to 1080p makes a major difference. Note though that while rear video footage has markedly improved, the DR750S’ front video footage seems to be slightly softer, or blurrier, than the DR650S’. Unlike its predecessor, the DR750S comes with a a proximity sensor that can function either as a mute button for the built-in microphone, or as a lock file button, making this the first BlackVue dash cam to support this feature. You can configure in the camera’s settings which function you want the proximity sensor to perform. There’s also a physical button on the side. Depending on how long you press this button, it serves to either toggle Wi-Fi, reset the Wi-Fi credentials to factory default, or to format the microSD card. Speaking of Wi-Fi credentials, the default Wi-Fi password is now no longer the same for all the cameras of this model, greatly improving security as many users never bother to change their camera’s password. With regards to the DR650S-2CH, this model’s video bit rates have been increased from 10 to 12 Mbps for the front camera, and from 5 to 10 Mbps for the rear camera. The DR750S takes about 23 seconds to boot up, which is 10 seconds faster than the DR650S. Heat tolerance has also improved, from 60°C (140°F) to 70°C (148°F). The DR750S is equipped with GPS and Wi-Fi. If you have an internet connection in your car, you can watch your car cam’s video footage from anywhere in the world via BlackVue’s cloud service. This camera will support MicroSD cards up to 128GB in size. For best durability, we recommend getting at least a 64GB card with any dual channel camera. Smaller cards will work, but will result in more writing cycles and thus the card will degrade faster. A 64GB card will allow for over 6 hours of recording front and rear video, while a 128GB card will let you record for 12 hours before overwriting the oldest footage. It’s relatively fast to download a 1 minute video clip via Wi-Fi (about 100MB), taking less than 30 seconds typically. Apps for viewing footage and adjusting the camera’s settings are available for Android and iOS smart phones. The apps are well designed and simple to use. Of course, you can also take out the SD card and watch the footage on your computer. Viewing software is included for Mac and PC. Like its predecessors, the DR750S supports buffered parking mode to protect your car while you are away. There’s also a time-lapse parking mode, or you can combine the two modes so the camera will record continuously at a low frame rate while parked, and switch to normal recording when an event is detected. When combined with BlackVue’s Cloud feature, the DR750S can also send a notification to your phone whenever an event is detected while you are away from your car. Without cloud, the camera will speak a voice notification upon your return to the car so you know if, and how many, incidents have been recorded. For parking mode to work, the dash cam needs to be hard-wired or connected to an external battery pack for power in order to avoid draining your car’s battery. If you already have a DR650S installed and wish to upgrade to the DR750S, you don’t need to go through the hassle of re-doing all the wiring. All the cables are interchangeable between the two models, and the rear camera mount is identical as well. Only the front camera mount would need to be replaced. Many features have been added or improved with regards to the predecessor, the most notable being the better rear video quality. BlackVue have also finally included a lock file button option, no doubt a welcome feature for many users. Overall, the DR750S-2CH is an excellent high-end camera with great features, and one of our favorite dash cams of the year 2018. Day time forward video quality is very good. License plates of nearby cars are easily readable. Rear video at day time is good. It is hard to read license plates of overtaking cars though. Forward video at night is good considering this is a rather dark road. However the license plates of nearby cars are unreadable. Night time rear video quality is fair. This clip looks attractive on a brightly lit road, however there is some glare from other cars headlights, and license plate readability is hit-and-miss depending on the angle you catch them.